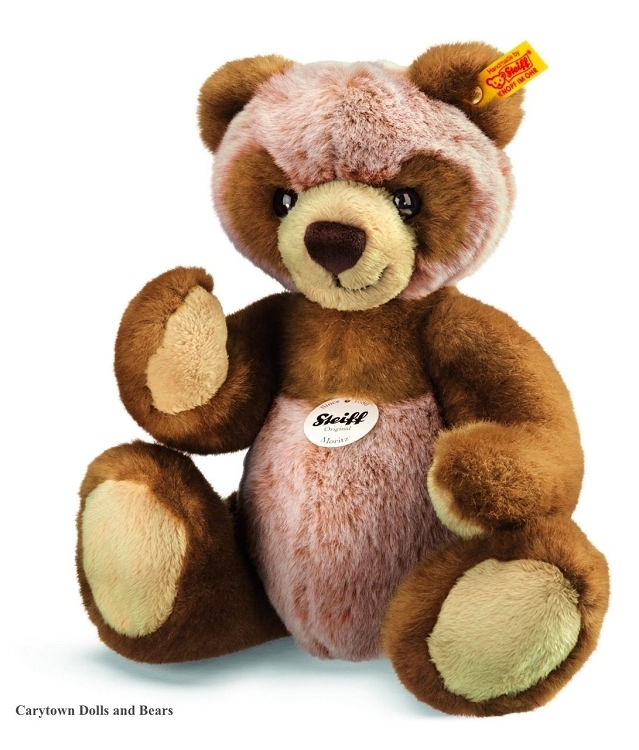 This gorgeous Steiff Moritz Teddy Bear is made of cuddly, soft woven fur and mesures 11.8 inches (30cm). Mority is 5 way jointed and has the Steiff yellow, brass-plated button in ear tag. Condition: New - was not produced with a box.